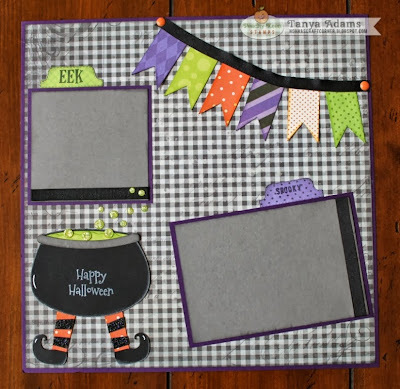 Today I am playing along with the Peachy Keen Stamps / KaDoodle Bug Designs Facebook Fan Page Hop and I am excited to show you what I've created using products from both of these wonderful companies! For once I have the layout completed before the big event! 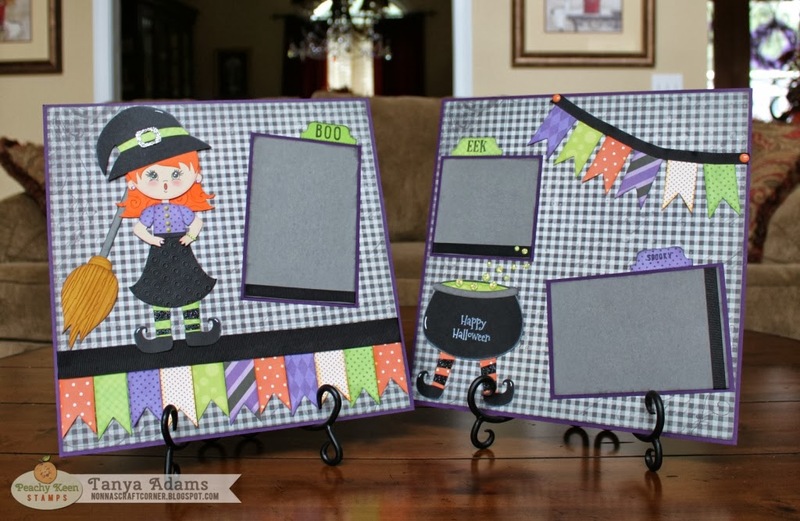 Emma will be dressing as a witch for Halloween and I have the layout all ready to add the photos! I love the way this bright, fun layout turned out and I can 't wait to add Emma's pictures for the finishing touch! 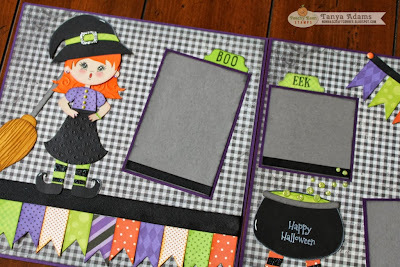 I'm sharing my project for the hop on my blog, but this is a Facebook Fanpage Hop, so if you would like to see all the fabulous Halloween projects and have a chance to win one of the awesome prizes you will need to head over to Facebook. The hop begins on the KaDoodle Bug Designs Fanpage. Be sure to leave a comment on each stop! Thanks so much for stopping by today - I hope to see you on Facebook, and while you're there I would love for you to "like" my page! What a cute layout...love the banners! This is a gorgeous double layout! 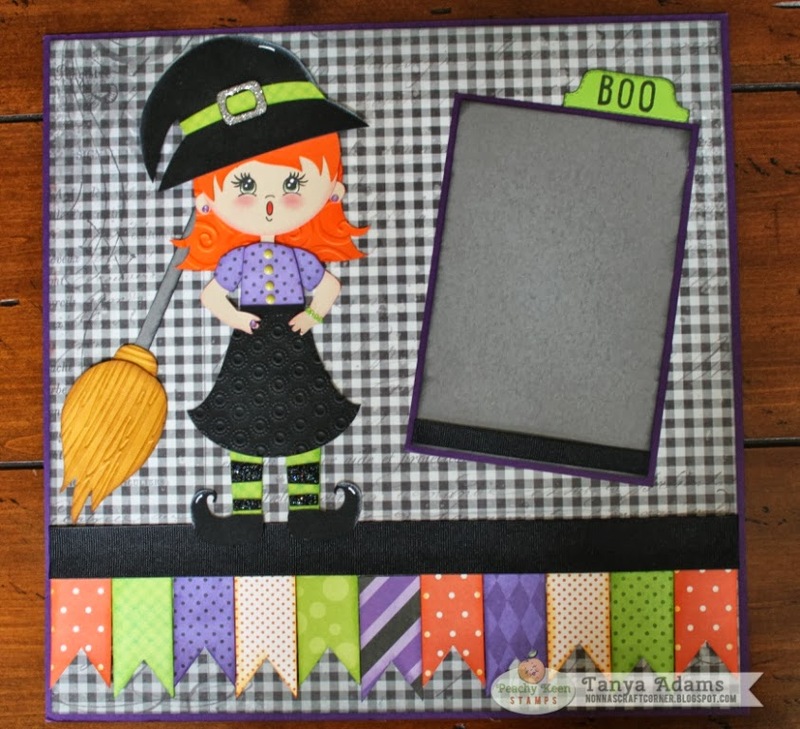 Fabulous papers and your little witchy is so adorable! TFS and have a great weekend. AMAZING!! Just darling!!! Love it! OMGOSH! I totally LOVE this Layout! So colorful and CUTE! Perfect for Emma's costume! Tanya ~ Oh my these LO's are just SO DARN CUTE!!!! The colors, the details and the cuts are going to look AMAZING with her costume!! EEK! Can't wait to see pics! I love so much about this layout!!! It is so great!!! The colors, the banner, EVERYTHING! Great LO, Love the colors and details, especially that banner. WOW you rocked this double LO. Great design, beautiful papers and an adorable little witch. Emma's pics will add the finishing touch.